Sadiq Khan is right about the London Plan: many Londoners don’t know about it and yet it is “one of the most crucial documents for our city”. Officially the Spatial Development Strategy for Greater London, setting planning policy for the next 20 years, the plan’s statutory progress so far has been glacial. A first draft was published in November 2017 and the current, post-consultation, version of it appeared in August last year. Londoners can now find out more about it during the five month, highly detailed “examination in public” that is now underway. Inspectors appointed by secretary of state James Brokenshire are expected to report in July, with the final plan published late this year after being signed off by national government. Details of the hearings and a mass of documentation including representations from scores of interested parties, can be seen here. 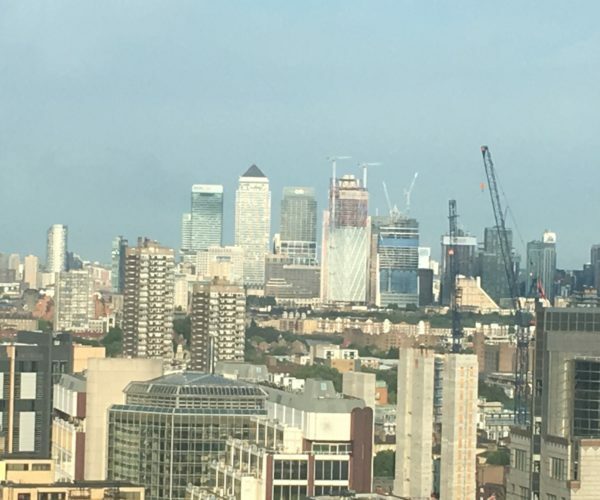 With London’s population heading for 10.8 million by 2041, the plan sets a target of supplying 66,000 new homes of all types a year, up from Boris Johnson’s 42,000. Where will those thousands of homes be built? The plan focuses on “brownfield” land, including some 40 “opportunity areas” for large-scale housing and commercial development, plus intensification around town centres and transport hubs in the suburbs as well as the centre, and significantly more small site development. 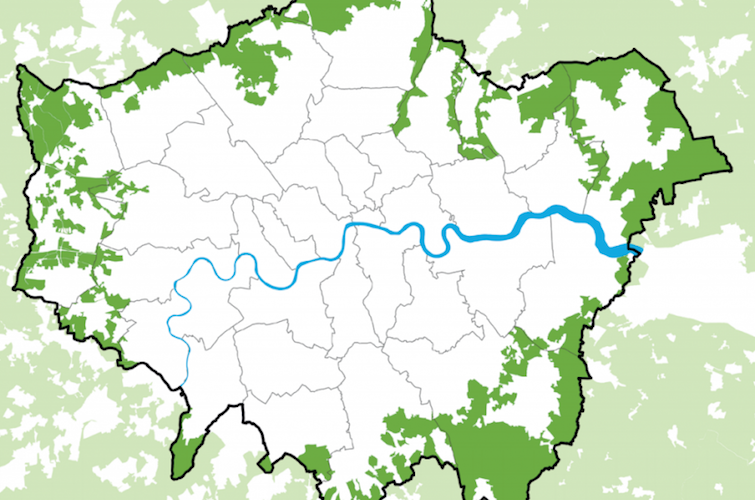 Yet Mayor Khan remains pledged to resisting encroachment on the Green Belt, which makes up a surprising 22 per cent of Greater London’s land area. 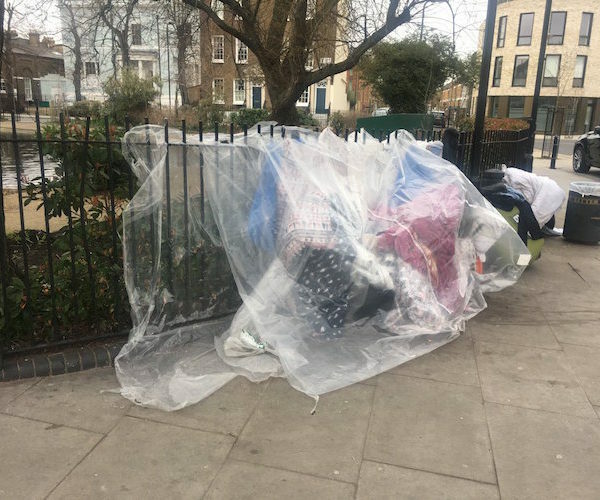 This policy is likely to become a major battleground, with consultees as various as housebuilders Bovis, Enfield Council, business group London First and Buckinghamshire County Council calling for a rethink. The 66,000 target “can only be achieved through a flexible policy which includes the opportunity for local councils to review Green Belt boundaries,” says Bovis, while Enfield warns its challenging housing targets are not deliverable without considering the potential for “selective Green Belt release”. Commentators also note Greater Manchester Mayor Andy Burnham’s “pragmatic” decision to release 4.1 per cent of the city-region’s Green Belt in pursuit of a 200,000 new homes target. While Green Belt conflict such as that brewing already in Enfield looks inevitable, there’s already concern over densification plans such as proposed development in Waltham Forest around Lea Bridge station. Questions have also been raised over Khan’s targets themselves. The London School of Economics suggests they “almost certainly underestimate housing need”, and Brokenshire challenged the calculations in a letter to Khan last year, describing the target hike as merely a “helpful first step”. With Brokenshire having the ultimate say on what the new London Plan contains, the scene is set for a further battle on numbers when the examination in public concludes, increasing pressure on Khan in the run up to the May 2020 mayoral election. “Where are the new homes London needs?” asked the Evening Standard last week. a more measured analysis from the Centre for London points to Brexit uncertainty as net extra homes in 2017/18 fell to below half the level stipulated by the draft new plan, coupled with fewer planning applications coming through and a slowdown in the construction industry. Khan points to a record number of affordable housing starts in 2017/18, cash he has allocated for council housebuilding and the City Hall “threshold” approach already increasing affordable housing levels in private developments.